Holiday.gr - Monolithos, a trip to a myth! The small seaside village Monolithos is located 9 km southeast of Fira. 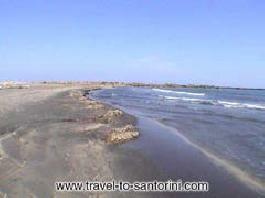 The main attraction of the village is its amazing beach with the endless sandy shore and the crystal clear waters. It is organized and considered ideal for families. Been to Monolithos ? Share your experiences!